The Avengers meets Conan the Barbarian in 'Avengers: No Road Home' this March – AiPT! Universes collide! 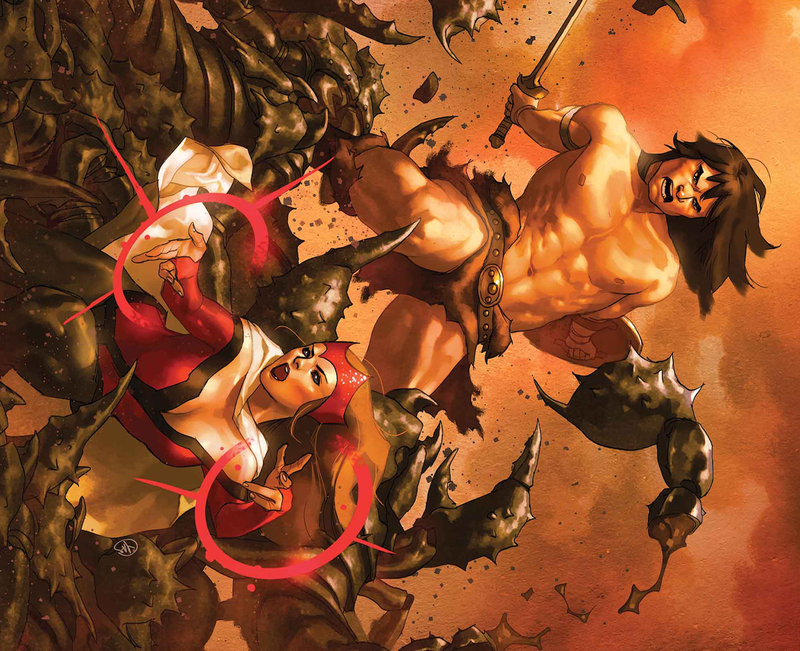 Conan enters the Marvel universe in ‘Avengers: No Road Home’. I’ve seen some weird crossovers in my day, but Conan meeting the Avengers, get out of here! This book is being written by the same folks who brought us Avengers: No Surrender, so I have faith it’ll be pulled off. Question is, how can Conan stack up to the Avengers in a fight? We find out this March. Check out the full press release below for all the details. New York, NY–December 7, 2018–The all-new weekly Avengers event continues in March with an epic story from Al Ewing, Mark Waid, and Jim Zub, with art by Sean Izaakse and Paco Medina – and the famed barbarian himself is slashing his way into the Marvel Universe in AVENGERS: NO ROAD HOME! It all starts when The Scarlet Witch enters the Hyborian Age, and continues when the Avengers take their fight to the Queen of the Night! And while Conan and the Avengers will fight together, the question remains…whose side is Conan really on? It’s an action-filled, jam-packed story that you won’t want to miss, and it all starts in AVENGERS: NO ROAD HOME #6 – when the Marvel Universe will be forever changed, by Crom! What is this new sword wielding identity for Hawkeye in Avengers: Endgame?